FREQUENTLY ASKED QUESTIONS: Due to gates at the entrance to the shooting facilities there will be changes to the sign in procedure upcoming. To read about the changes and how they will affect you CLICK FREQUENTLY ASKED QUESTIONS. 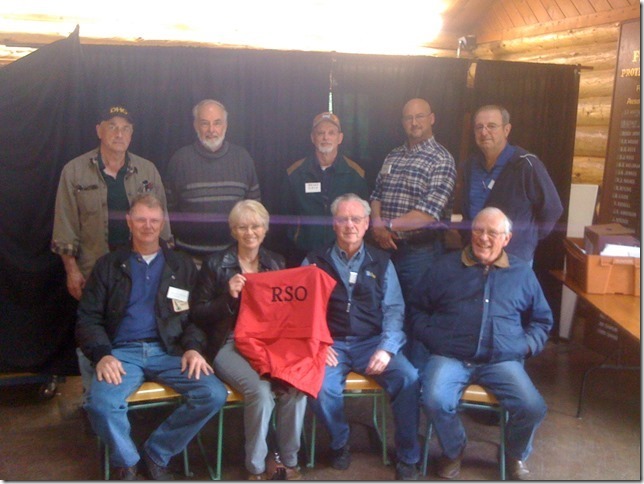 CF&GA maintains four shooting ranges at our club headquarters on Robertson Road in Duncan. Included are three outdoor ranges; a covered 100 / 200 yard rifle range, a covered 50 yard handgun range and smallbore (.22 LR caliber) as well as a single station trap range. Additionally, a six position heated 20 yard indoor range. Please see the SPECIFIC RANGE RULES below to identify what types of guns and ammunition may be used at each individual range. The primary purpose of the ranges is to promote marksmanship among our members. Shooters of diverse backgrounds must shoot safely together, sometimes without the benefit of a “formal” Range Officer present. As you have been given the privilege of using the CF&GA ranges, it is your responsibility to understand and practice the CF&GA property and range use policies. BE SURE ALL PROJECTILES ON THE 50 AND 100/200 RANGES ARE DIRECTED INTO THE BACKSTOP. AT NO TIME SHALL A PROJECTILE HIT THE GROUND BEFORE THE BACKSTOP. Property gates open at 8:30 am each day. When on the property, you must have your current membership card in your possession. Security Gate at the Shooting range: Members with FOBs will be able to open the security gate.Members without FOBs will need to be with a member with a FOB to open the gate. The guest must sign in. the guest envelopes must have the Name, Address and PAL or birthdate and the CFGA member’s number. Shooters must supply your own approved targets, staplers and other necessary supplies. Ear and Eye protection are mandatory. In the event that a qualified Range Officer is not present at the facility please see the rules in bold below. The first adult person at the range is deemed to be the Range Officer. When that person departs a new person should be delegated. Associate (out of area) Members or Non-Members shall not act as a Range Officer if a Cowichan Fish and Game Association full member is present. The following GENERAL range guidelines are for the purpose of “general” shooting on the property when there are no official sanctioned events taking place. 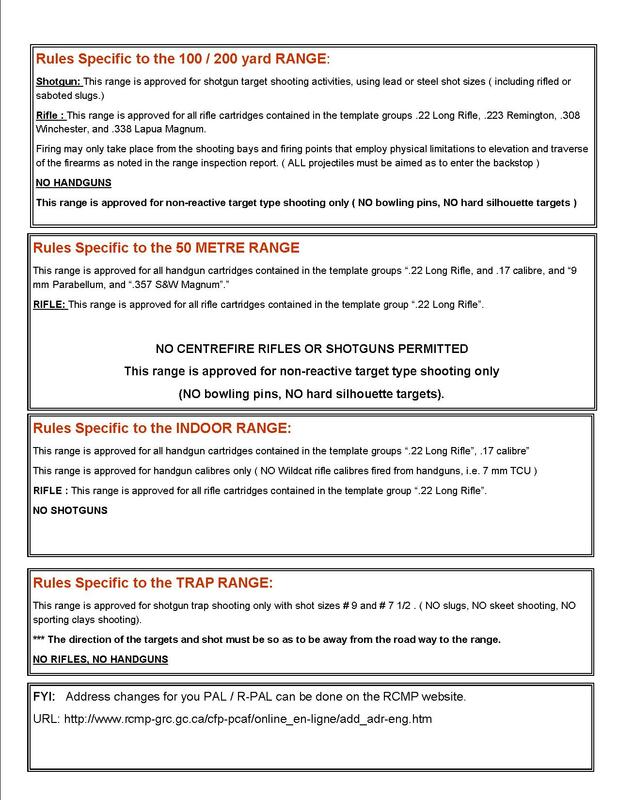 There are in addition rules specific to each range – 50 yard, 100/200 yard, indoor and trap, please read and adhere to these rules. Members and non-members utilizing the property must adhere to these rules. In the event of a scheduled competition or match held on a specific range and that range is closed to general use, the specific match rules apply and the Match Director assumes the responsibility of Range Safety Officer. Indoor range is not included in the above.